Time to harvest our Hawaiian Orchids! Every late Spring and early Summer, we have to drop all other activity to focus on recovering the Hawaiian orchids as fast as they bloom and then begin our special preservation. They wait for nobody. Even urgent customer orders have to be put aside to wait for them. 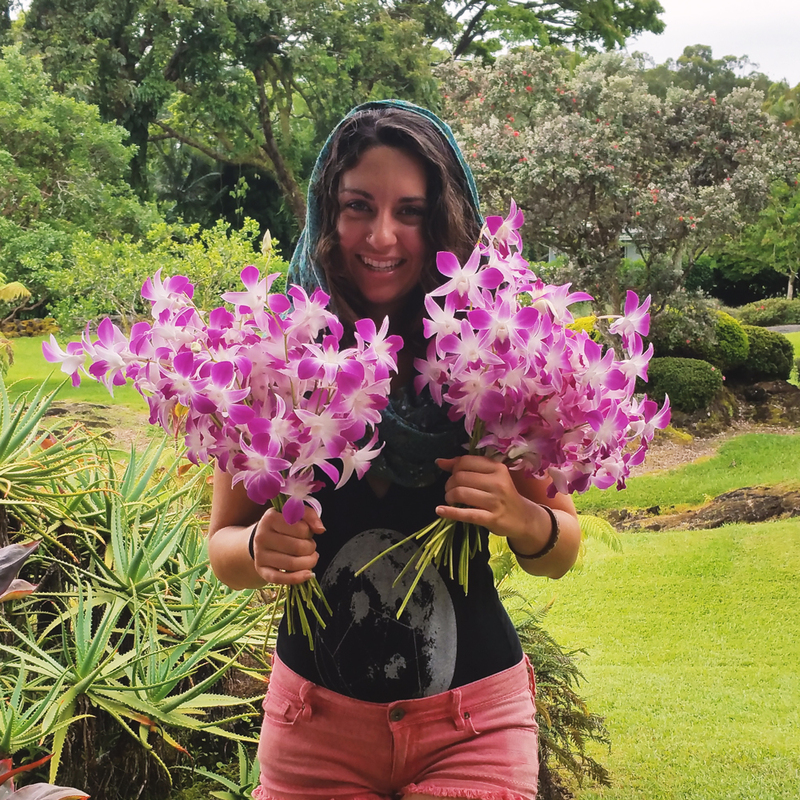 Here Rya has her arms full as she brings the latest batch of orchids from the nursery.